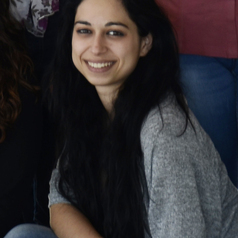 Diana Furcila is a PhD student at the “Cajal Laboratory of Cortical Circuits” leaded by Prof. Javier DeFelipe. She is supported by a CIBERNED (Centers for Networked Biomedical Research) project entitled “Alzheimer’s disease and other neurodegenerative dementias”. Her main interest lies in the study of quantitative and qualitative analysis of neurochemical characteristics of the cortex of patients with Alzheimer’s disease, as well as in the detailed microanatomic analysis of the cerebral cortex of these patients.